Our Elephant Lane building is accessible including a platform lift, accessible bathrooms and a link bridge connecting our two buildings. 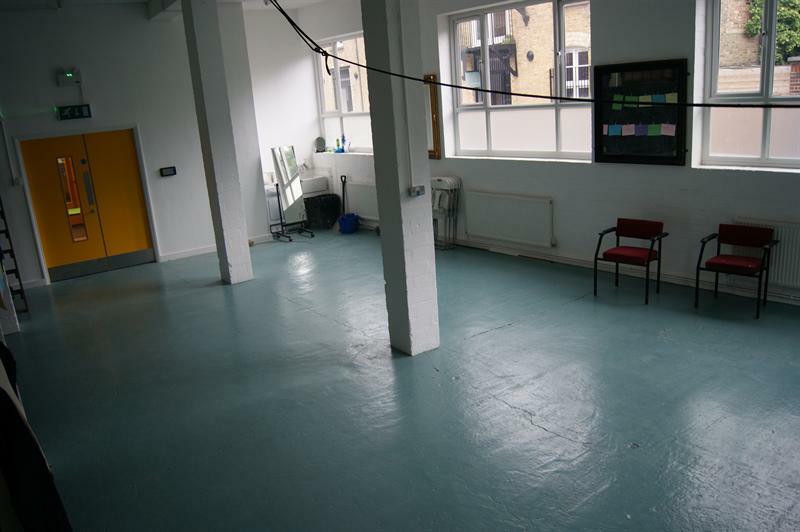 Our ground floor studio space is ideal for smaller scale rehearsals, meetings and auditions or for non-messy prop making. Please be aware that there are structural pillars, as pictured, that need to be worked around. 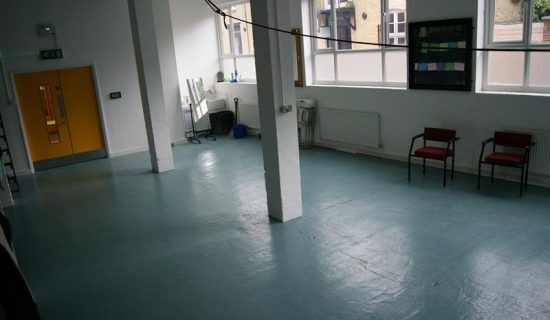 We’ve been pleased to welcome Les Enfants Terrible, Writer’s Avenue and The Lions Part to our studio in recent months. We can hold provisional bookings for a maximum of 2 weeks. Please note that photographs are for illustrative purposes only. We can offer a parking space to users with additional access needs. Please contact us about reserving parking in advance for your hire. 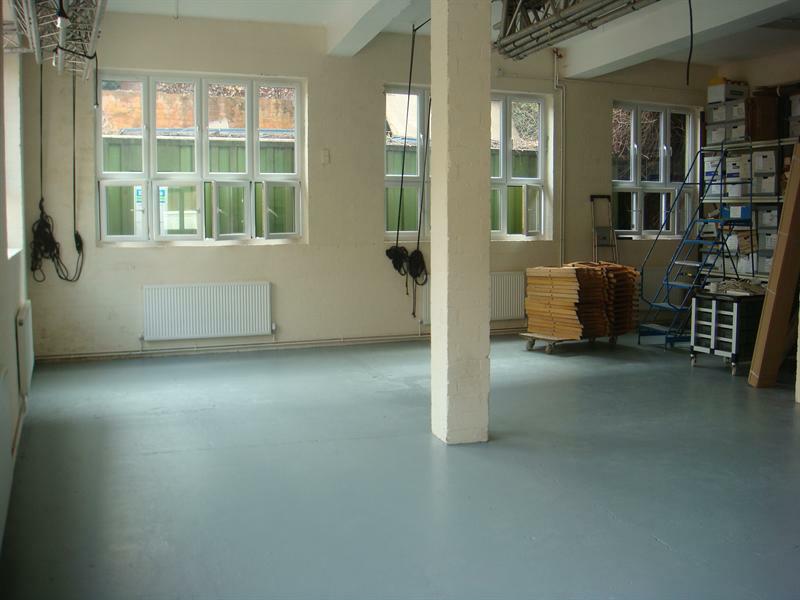 If you are looking for a larger room, please take a look at our Rehearsal Room. 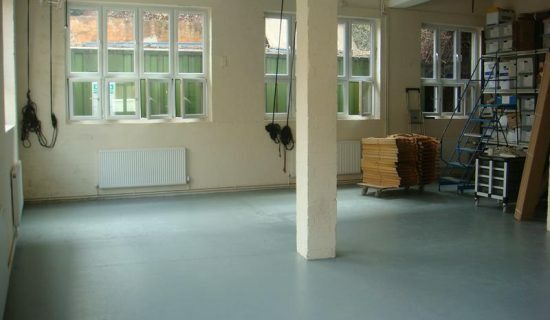 The space worked really well for the kind of workshop we were doing. BIG THANK YOU TO BUBBLE for your positive attitude and flexibility. We loved the Bubble and would certainly want to book it again. Thank you SO much for your help with everything and for making things run so smoothly!